4 Bedroom Detached House For Sale in Maidstone for Asking Price £700,000. With picturesque views over the Loose Valley this property does not disappoint! 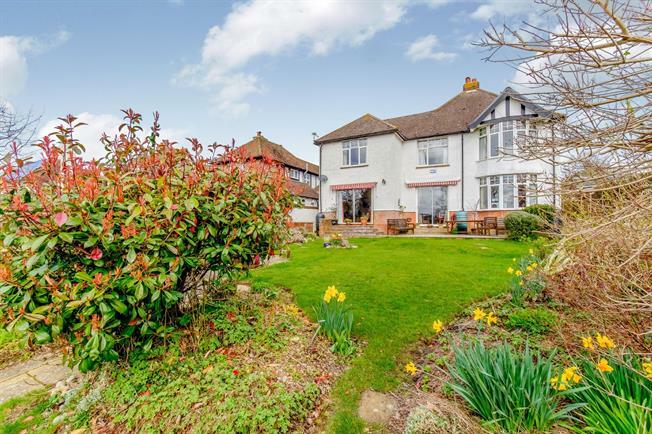 The property comprises of a unique 1930's detached house, with 4 double bedrooms and extensive living areas for a growing family; as well as an outstanding 130' long landscaped garden and on an overall plot of approx 1/4 Acre. Not only is there a garage and large driveway providing off-street parking for multiple vehicles, but also a grand en-suite to the master bedroom as well as a spacious family bathroom. Situated on a private lane, it is ideal for those seeking the 'countryside' lifestyle, but still with access to all local amenities. For those with children there are boys & girls grammar schools in Maidstone & private school education available in Sutton Valence just a few miles away.